The premier, who spoke this morning, explained that legislative amendments had been made to the companies, partnerships and trusts laws to require the retention of relevant accounting records (including underlying documentation) for a minimum period of five years, including enhanced sanctions for non-compliance in line with the international standards. In accordance with the Revised Methodology for Peer Reviews and Non-member Reviews, Cayman has requested a supplementary report seeking an upgrade of the determination in the Phase 1 Peer Review of the essential element relating to accounting records. It is expected that this supplementary report will be examined by the Peer Review Group at the earliest opportunity, officials stated in a release from the ministry of finance. Bush also reported that the Cayman Islands is currently reviewing the remaining recommendations contained in the Phase 1 Report with a view to determining the best manner in which to address these in advance of its Phase 2 Peer Review, which will focus on the practical implementation of the international standard and the effectiveness of exchange of information. Government officials said Cayman has played an integral role in the restructured Global Forum, Steering Group and the Peer Review Group, and to date has provided assessors for five peer review evaluations. The release said the Cayman Islands had a favourable assessment during Phase 1 of the Peer Review Process and is expected to undergo its Phase 2 in the second half of 2012. While in Bermuda delegates also initialled a Tax Information Exchange Agreement (TIEA) between the Cayman Islands and the People’s Republic of China. “The Cayman Islands currently has 23 TIEAs in place with relevant partners – the most recent with the Republic of South Africa having been signed in early May – and we will continue to enhance our tax transparency regime through increased cooperation efforts such as this one,” said Samuel Bulgin, the attorney general and member of the Cayman Islands International Tax Cooperation Team. Meanwhile, as offshore jurisdictions were touting their transparency credentials at the forum which played host 220 delegates from 85 member jurisdictions and 11 international organisations, pressure group Global Financial Integrity (GFI) criticised the OECD global standard for tax information exchange which GFI Director Raymond Baker said fell far short of what is needed. “National tax authorities continue to be constrained by the current OECD tax information exchange standard, whereupon information is only shared on request. Basically, tax evaders have the advantage under the current system of on-demand tax information exchange,” he said in reaction to the Bermuda meeting. It is estimated by GFI that individuals have about US$12 trillion of assets in jurisdictions other than their own countries of residence that are not declared in their own countries with lost tax revenue from these undeclared assets estimated at $255 billion. 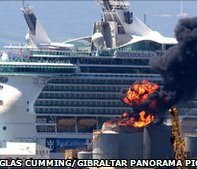 (BBC): Ten cruise ship passengers have been injured in an explosion and fire at the port in the British territory of Gibraltar, the cruise company says. The guests, who received minor injuries, were treated on board the Independence of the Seas, a statement from Royal Caribbean said. The blast took place at the territory's main fuel storage facility on the northern part of the harbour. Police are investigating the cause of the explosion. "The lid of the [diesel] tank was blown off by the blast," a police spokesman told AFP news agency. He added that the possibility of another explosion could not be ruled out. The spokesman also told the news agency that two people injured – one seriously – but did not specify whether they had been on the cruise ship or on shore at the time. (CNS): Delegates from the Cayman Islands Chamber of Commerce will be presenting a paper this week at the UN’s regional decolonization seminar but the government has failed to send an official delegate. Wil Pineau has been invited to speak at the gathering in St Kitts which opened today (Tuesday 31 May) but the premier’s office has confirmed that no government envoy has been sent on behalf of the country. The Cayman Islands was originally selected to host this year’s seminar but in a letter to the chairman of the special committee, in April, the premier declined the invitation though he did not offer a reason. Despite that however, the UN invited local NGOS to deliver a paper entitled A Cayman Islands’ Civil Society Perspective. The presentation by Pineau will be made on behalf of the Chamber as well as other members of the Cayman Islands NGO working group which includes the Concerned Citizens Group and the People for Referendum. Chamber president, James O'Neil will also join Pineau at the seminar which focuses on the Eradication of Colonialism. The NGOs said that the paper will be made public once it has been delivered. The seminar, which will run from 31 May to 2 June, is held under the auspices of the United Nations Special Committee on the Situation with Regard to the Implementation of the Declaration on the Granting of Independence to Colonial Countries and Peoples (the “Special Committee”). This year the seminar is expected to discuss the steps that need to be taken to free the last remaining territories from dependency among representatives from the territories. In the past, over 750 million people lived under colonial rule. Today, however the efforts of the international community have reduced that number to 2 million people in the 16 remaining non-self-governing territories many of which are in the Caribbean region. Delegates will assess the progress and set new benchmarks for the eradication of colonialism in this third decade. This is the second time that the seminar is being held in St Vincent which may have much to do with Bush’s refusal to host the seminar here in Cayman even after the special committee had announced that it would. The decolonization seminars alternate between the Caribbean region and the Pacific region each year in line with the locations of the remaining non-self governing territories. Last year the meeting was held in New Caledonia and local attorney Steve McField was sent as the premier’s official representative. In his letter declining to host the seminar to the committee chairman, Bush also pointed out that when the seminar returns to the Caribbean in 2013, Cayman would likely have just been through another general election and as such the committee would need to contact that new administration if it would like to hold the forum here then. A freedom of information request was made by one of the members of the local group People for Referendum to the UK in order to establish why the UN was under the impression that the conference would be held in only to have the premier reveal that it would not take place in Cayman despite the UN announcement. However, with the exception of the premier’s letter which was circulated to the public soon after it was sent last month, the UK have declined to reveal any other correspondence between it and the CIG over the change of heart, despite admitting that it does hold documentation relating to the seminar. It said the information could not be disclosed as it is exempt under the international relations exemption where disclosure could prejudice relations between the United Kingdom and the Cayman Islands. “The disclosure of reporting between the Governor’s Office, Cayman Islands and the Foreign and Commonwealth Office could, in addition to prejudicing directly relations between the Government of the Cayman Islands and the British Government, undermine the confidence of Governors of all Overseas Territories that they are able, in confidence, to report matters of significance back to London without threat of disclosure,” the refusal letter stated. Afterwards, the 25 associations, whose flights and hotel costs were being covered by Bin Hammam, were asked to go to a conference room to pick up 'a gift', according to an affidavit sent to FIFA's ethics committee. Fred Lunn, vice-president of the Bahamas FA, was one of the first to go up to the room, where he was handed a large brown envelope. When he opened it 'stacks of $100 fell out and on to the table. I was stunned to see this cash,' he said in the affidavit presented on Sunday. Lunn said he was not authorised to accept such a gift but was urged to do so by a CFU official. He decided to hold on to the money and contact his association president, Anton Sealey, by text. Copies of these texts were sent to the ethics committee, which suspended Bin Hammam and FIFA vice-president Jack Warner on Sunday pending a full inquiry, along with CFU officials Debbie Minguell and Jason Sylvester. Sealey then called Lunn and told him 'under no circumstances would the Bahamas FA accept such a cash gift' and that he should return the $40,000. Sadly, however, the developer does not appear to be kidding. He really does want to dig a big hole and dredge a channel to get the rock out and he has come up with what appears to be a cunning plan to con the people into thinking it’s not a “big hole” but a splendid commercial seaport that will make us all rich beyond our wildest dreams. In order to get at what the developer believes is his rock, as some of that rock is definitely on land he owns, he has faced a few stumbling blocks over the years. Given the planning zones, the area at High Rock where the land is located is not designated for industrial use, and given its outstanding natural beauty an application for a quarry there was never going to cut it. The developer knew he needed a better plan. Enter stage left: East End Sea Port! Now while the cargo plan is not without its hurdles, so far he seems to be mounting them very well. The hurdle of “the premier and the government” in general was leapt very easily and the promise of jobs vacuuming cruise cabins, rolling oil barrels or washing down yachts appears to have leapt the “some of the people outside of East End” hurdle. Now, with few independent expert environmentalists or green campaigners among us, he may well manage to leap the “natural disaster” hurdle as well. The EIA, all two hundred and forty some pages of it, is unlikely to be read in full by most people and sadly it is unlikely that they will pick up on what must be the subliminal messages of the author. Despite some obviously absurd mitigating suggestions, like collecting seeds to replace 500 acres of mature unique terrestrial environment or just moving the coral heads down a bit when the developer rips up the reef, it’s possible people might miss the joke, because really, that’s what it must be. From the perspective of the EIA’s authors, if a developer plans to build a commercial seaport that includes oil and gas storeage, commercial transhipment, and cruise home porting that requires a 55-foot deep inland port basin, over four-million square feet, a channel cutting through a reef and a jetty sticking out into the sea, it's common sense that it’s not ideal for the environment. The idea that it won’t be is, of course, absurd. The job of the EIA writers is to say, well, if you’re going to destroy everything here’s a list of stuff that those who can’t read between the lines might buy in exchange for destroying everything. The EIA makes it clear that this would be a disaster for the environment both near and far and won’t necessarily be a bed of roses for the community either, but in order to fulfil the remit the writers have come up with some half-hearted efforts to suggest how the developer can soften the blow. When the authors suggest that architectural design features can mitigate the loss of the outstanding natural beauty of that coast line by creating a visually appealing facility, you know that’s the pay cheque talking. The problem is thereis a real danger that people may be sold on these mitigating factors combined with the promise of jobs and economic riches at a time when they are feeling vulnerable. Some people already appear to be taking the developer at his word and have bought into the promises of an economic wonder — just take a look t the blogs on the CNS stories related to this! They can’t all be written by the developer. But in five years time when all we have is a big hole and no money and no other investor willing to build the infrastructure, the question of what will the people do then will be a hard one for the government of the day to answer. Do we really expect the people of East End to feel “mitigated” because there are some seeds down at the Botanic Park, rescued from the 500 acres of mature and unique terrestrial habitat torn from its ancient roots? I doubt either that there will be a warm fuzzy feeling of comfort that at least one or two of the coral heads that were rescued from the acres and acres of reef that was crushed under the dredger lasted for a little while when they were moved before they died. Nor, I daresay, will the people of East End be smiling fondly when they look back at the once fine quality of their water lens as they drink from their bottles of ‘Wata’ imported from Jamaica. The EIA makes it clear to those who read the whole thing that the “big hole” project has limited, if indeed there can be said to be any, benefits to the public at large, which are far far outweighed by the negative impact it will have on the environment and the community. However, if government is planning to go ahead and approve this development, the opposition and the people of East End alone cannot stop it. This will require a much broader island-wide opposition, otherwise the developer will be allowed to leap the “natural disaster hurdle” and allow the absurdities in the EIA to become realities. (CNS): Detective investigating last week’s robbery at theMcRuss grocery store in Party Lane, George Town have released CCTV images of the robber in action. Police are hoping that the pictures will encourage anyone who has information to pick up the phone and call them. “Although the cashier was not physically injured in this incident she was left shaken by the ordeal,” Detective Sergeant Richard Scott, of George Town CID, said. “We would ask that people look closely at the images. If you recognise the man or you were in the area at the time of the robbery we want to hear from you. "We believe that the suspect fled the area on foot, but might have entered a vehicle at some stage. If you saw anyone answering the description running in the area, any suspicious vehicles/activity, again, we need to hear from you,” the officer said. He added that the release of the images from the CCTV cameras should send a clear message to would-be robbers and to businesses about the value of properly sited cameras. “We would ask business owners to look at their systems and make sure that the images and footage are of good quality and that the cameras are in the right place to provide maximum coverage,” he added. 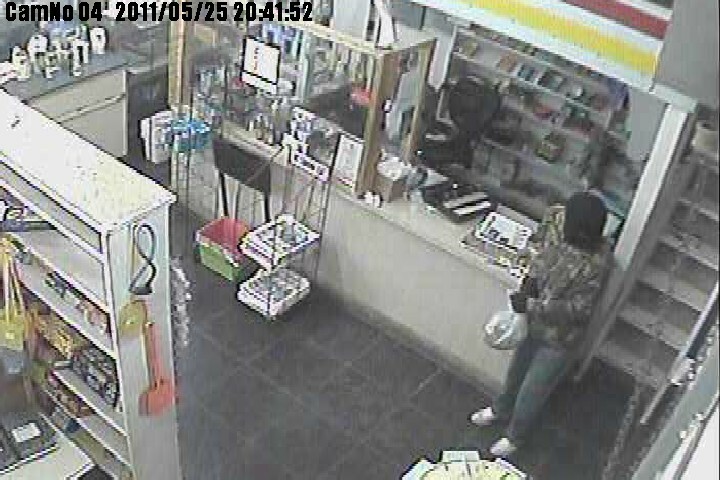 This latest armed robbery took place just before 8.50 pm last Wednesday (25, May) when the suspect entered the small store. He threatened staff and made off with the takings from the till.No shots were fired and no-one was injured in the incident. The robber was described as having a brown complexion, about 5’ 5” inches in height and of slim build. 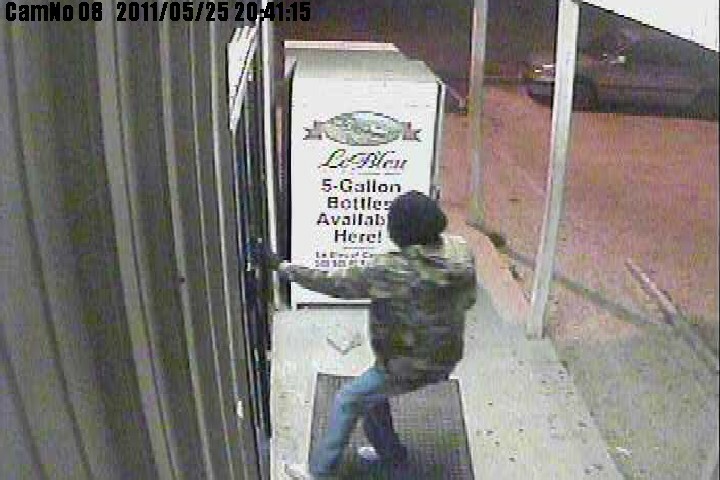 He was wearing blue jeans, green camouflage jacket, black gloves, a black ski mask and white colored sneakers. Anyone with information should call George Town police station on 949-4222 or Crime Stoppers 800-8477 (TIPS). (CNS): The opposition has called on the country’s premier to spell out to the people what exactly he proposes to do in connection with the proposed East End Sea Port development and, in particular, if he plans to bring the law the developer seeks in order to start the project to the Legislative Assembly any time soon. In the wake of the Throne Speech announcement that government would be going ahead with the project this financial year and the claim in the developer’s EIA that some 1500 acres of land at the location in East End will be part of the development zone law required to facilitate the project, the PPM said the people need to know what is going to happen to their land, their homes and their community. Opposition party members were out in force on Monday evening (30 May) at an East End public meeting, getting behind the East End and North side MLAs who have so far led the charge against the proposed commercial sea port. There were well over 80 people at the meeting, at which almost everyone agreed that they would support Arden McLean and Ezzard Miller and do whatever it takes to stop the development, against which, it appears, the majority of people in both the East End and North Side districts are staunchly opposed. Discussing the content of the recently published EIA with his constituents and the details of the proposed development zone law, which is now beginning to cause real concern as the 1500 acre zone includes many local houses and farms, McLean said the premier needed to tell the people of East End what he planned to do next. According to the EIA, the developer requires new legislation to create the development zone which will take the site for the project outside of the requirements of the planning law. Of the many issues this raises, McLean pointed out one of them was to close off the normal avenue via the Central Planning Authority for people to object to a development. The legislation has been drawn up by the developer, who says it has been given to Cabinet for approval and creates a “new zone and grants approval to the developer for the construction of the sea basin” that will be the first phase of the project, which is expected to last several years. The law will also allow the development corporation, which will be in charge of the project under the law if it is passed, to develop and pass bylaws to govern the management of the development zone and “these laws will be enforceable and carry financial penalty if broken,” the EIA reads. The designation of the zone will also exempt the developer from tax and duty on any goods or materials to be used on the site for development, operation, maintenance or improvement of the zone, which undermines the claim that the project will boost government coffers. The PPM representative for the district said that he was composing a letter on behalf of the district this week asking McKeeva Bush to spell out his intentions in theface of the local opposition, and depending on the response he would be co-ordinating the next move in the campaign to halt the project. 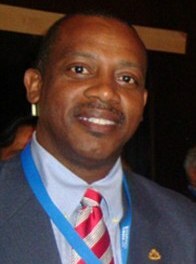 Joined not only by the independent member for North Side, Ezzard Miller, McLean was also supported by the current and past opposition leaders. Kurt Tibbetts spelt out his own opposition to the project, stating that despite having an open mind when he first heard about the proposal, subsequent meetings and revelations had convinced him that the developer intended to construct an enormous marl pit and not a port. The developer “has only given a commitment to dredge a channel and the port basin, nothing more,” the former leader warned as he pointed out that the Cayman people would be the ones paying for most of the infrastructure on this project unless another investor was found to do the associated upland development. Alden McLaughlin echoed McLean’s sentiments about the need for the premier to give the people of East End clear details of what his plans were for the new law and the project in general now that he appears to have given consent in this year’s Throne Speech. McLaughlin said he too was willing to be at the forefront of a blockade of the islans' capital if that is what was needed to show government the depth of opposition in the community to the development. “All of the opposition is solidly behind the efforts to stop this mega quarry,” the opposition leader added. In the wake of the publication of the EIA, the environmental concerns about the threats to the water lens, the reefs, the natural habitat and the risk of flooding have raised real concerns. During the meeting McLean and members of the audience noted that a lot of the information that seemed to form the basis for the EIA was incorrect. The storm surges were significantly underestimated among other issues, which included misunderstandings about the use of the reefs by dive boat operators and references to quarry in the area where, in fact, the East End quarries have been closed for the best part of a decade. The EIA spells out a number of major negative environmental impacts, and although it offers suggestions for mitigation, in most cases the mitigation falls far short of making up for the significant losses. During the meeting it became apparent that the key issue in connection with the development, which was articulated by Ezzard Miller, is that the negative impacts are extreme but the benefits appear to be negligible and there is no compelling reason to create a commercial port in East End when the one in George Town is running at 30% capacity. 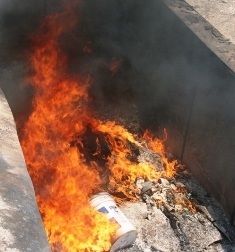 (CNS): Police set fire to almost 140lbs of ganja this weekend during a controlled burning on Little Cayman. The drugs were transported from Cayman Brac to Little Cayman by police officers on Saturday, 28 May and destroyed in the presence of the District Officer for Little Cayman, who is also a Justice of the Peace. While some of the drug had been seized through policing operations – the majority was recovered after being washed up on the shores of the Sister Islands over the past few months, a police spokesperson confirmed. Inspector Harold Forte, the Sister Islands Commander said that the vigilance of police staff, residents and colleagues in other law enforcement agencies had combined to ensure that the drugs did not reach the streets of the Sister Islands. CNS has also made enquiries with both the police and the customs department about the investigation into ganja that was found by a member of the public at the Cayman Brac Landfill earlier this year and is waiting for a response. In February a small plastic Ziploc bag wrapped in customs tape containing what appeared to be ganja was found in a small purple duffel bag in a far corner of the Brac dump by a member of the public. The question was raised about how drugs which had clearly been seized by customs officers could find their way on to the public dump. (CNS): The country’s health minister called on the community to stop smoking, Tuesday in a message to observe World No Tobacco Day. Mark Scotland said that today is a good day to quit. “If you know someone who smokes, encourage them to put it out for good, because everyone deserves a smoke-free environment,” he said. The message comes in the wake of news from the National Drug Council that more young people than ever before have admitted to smoking in its latest student drug survey. Despite now having comprehensive anti-smoking legislation in place the survey found the number of kids admitting to smoking has doubled. The NDC said that while students are reporting smoking more there is very little specific evidence as to why. The council noted that there had been significant decreases in the level of smoking among students between 1998 and 2006 before the significant increase in the 2010 survey which was released earlier this month. “We do note that perception of risk and availability does play a role in student drug use,” Joan West-Dacres, the Executive Director of the NDC told CNS. As part of World No Tobacco Day the Public Health staff and the Cancer Society will be taking the ‘smoking is not cool’-message to schools with a series of presentations. With the pressures placed on the health service by smoking related diseases the goal is to help existing smokers quit and to prevent young people from taking up the habit. Around the world smoking kills more than five million people a year – an average of one person every six seconds – and accounts for one in 10 adult deaths. But before it kills people tobacco causes and aggravates a variety of serious and painful illnesses, and is regarded as the number one public health threat in the world. This year the focus of the no tobacco day is the World Health Organisation (WHO)’s Framework Convention for Tobacco Control (FCTC). The FCTC calls for comprehensive legislation including provisions to protect people from exposure to tobacco smoke. Other provisions include the prohibition of the sale of tobacco products to minors, the prohibition of tobacco advertising, promotion and sponsorship, and the need to regulate product disclosure, packaging and labelling of tobacco products. The current Cayman Islands Tobacco Law supports all of the requirements in the convention. “We can also take pride in the fact that we are one of the first countries in the Caribbean to enact anti-tobacco legislation ensuring a smoke-free environment for all our residents,” said Scotland as he urged people to quit smoking. One of the most dangerous activities in the world tobacco smoking is linked to a catalogue of health problems and early deaths. 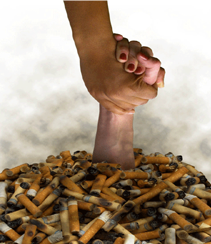 Ninety percent of lung cancer cases are among smokers. If no-one smoked, lung cancer would be a rare diagnosis with only 0.5 per cent of people who've never touched a cigarette developing lung cancer. One in ten moderate smokers and almost one in five heavy smokers (more than 15 cigarettes a day) will die of lung cancer. A significant number of other cancers are also much higher in smokers. However, despite the well-documented scientific evidence that smoking kills as nicotine is extremely addictive it is one of the most difficult drugs to quit. This means that government’s that are serious about reducing smoking levels need to introduce comprehensive public health programmes to assist people in stopping smoking. (CNS): The 5311 Crankers cycle club have opened the registration for the last race in the the Cayman Challenge Cycle Series. Organisers said heralded as the climax this event is going to be bigger and better than all the rest. Online registration is now open until Friday 10 June or at offline at Abacus Camana Bay between 4-30 and 6-3pm evenings. The Tour of Grand Cayman—Beatman Ebanks Memorial Races and the Velo (Bicycle) Festival take place over the holiday weekend in June. Cost per race (10 mile Time Trial 7 am June 12, 70 mile Road Race 7am June 13, Mountain Bike 9:30 June 13, Criterium 5:30 June 13) CI$15 (US$20). 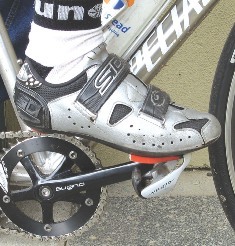 Sign up for all 3 (Time Trial, Road Race, Criterium) for CI$35(US$46). Kids Ride Free!! Adults are welcome to make donations to Cayman Heart Fund. Late registration charge of CI$5(US$7) for each event and CI$10(US$13) for the 'all 3 races' option (Time Trial, Road Race, Criterium) done on the day.